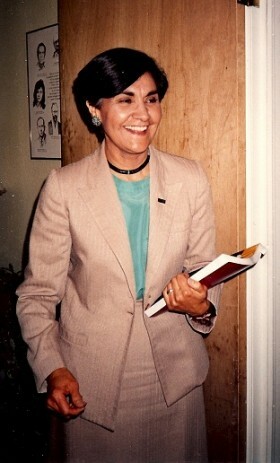 Letter from C.S. 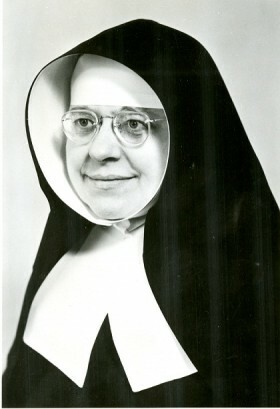 Lewis to Sister Madeleva: Letter from C.S. 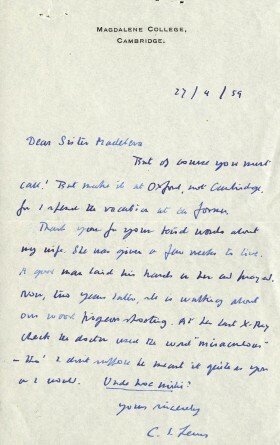 Lewis to Sister Madeleva thanking her for kind words extended to him regarding the health of his wife. 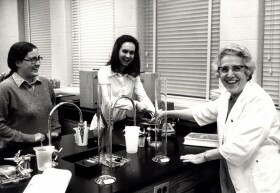 Sisters at Loyola Summer School: Loyola University of Los Angeles. 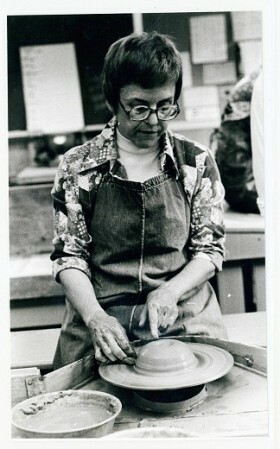 Sister Irene Kutsky, ceramics professor. 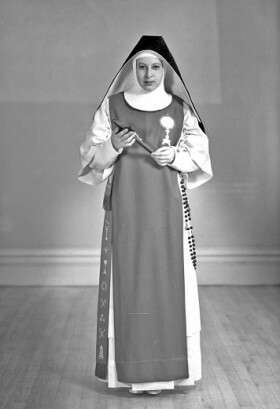 Professed sister, Nuns of the Perpetual Adoration of the Blessed Sacrament. 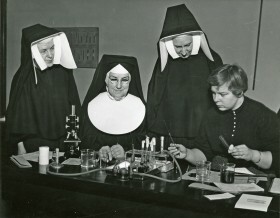 Chemistry class: BVMs (Sisters of Charity of the Blessed Virgin Mary) and student with chemistry set. 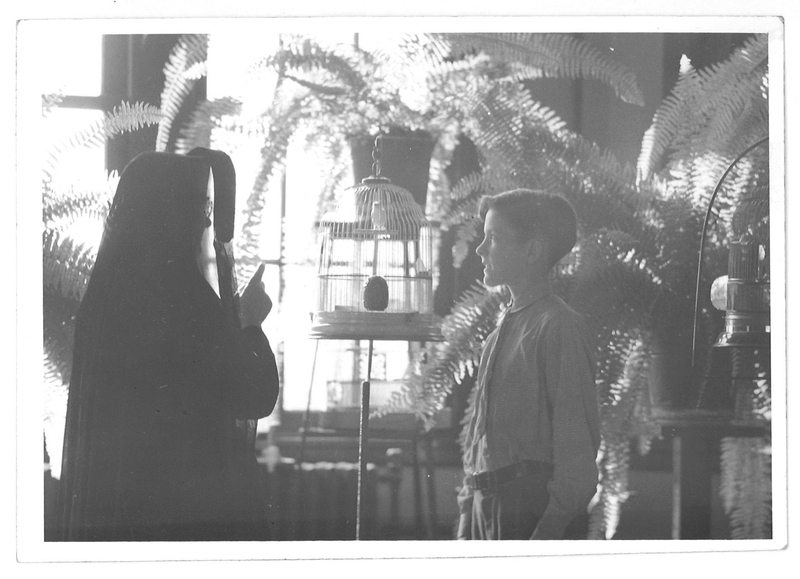 Unidentified Sister and boy, St. Paul’s Orphanage, Crafton, Pennsylvania: Photograph (5 x 7). 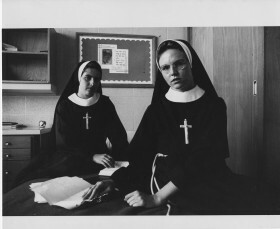 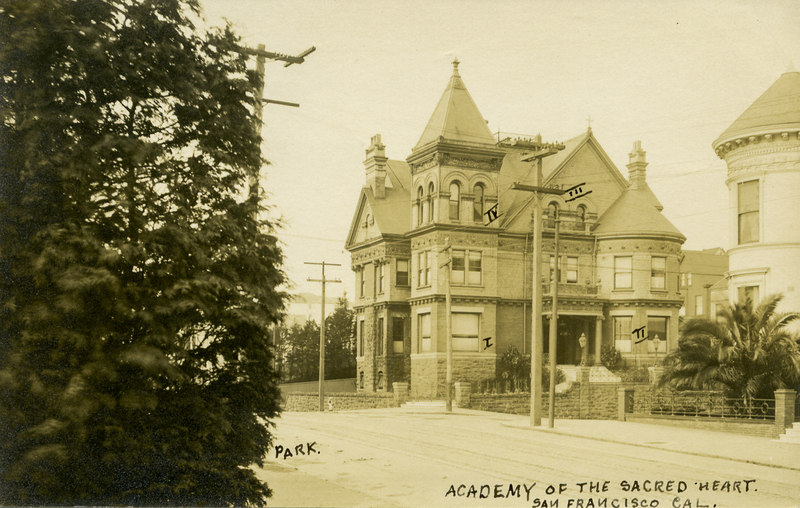 The Sisters of Mercy operated St. Paul’s Orphanage in Pittsburgh from 1846 until its closing in 1965. 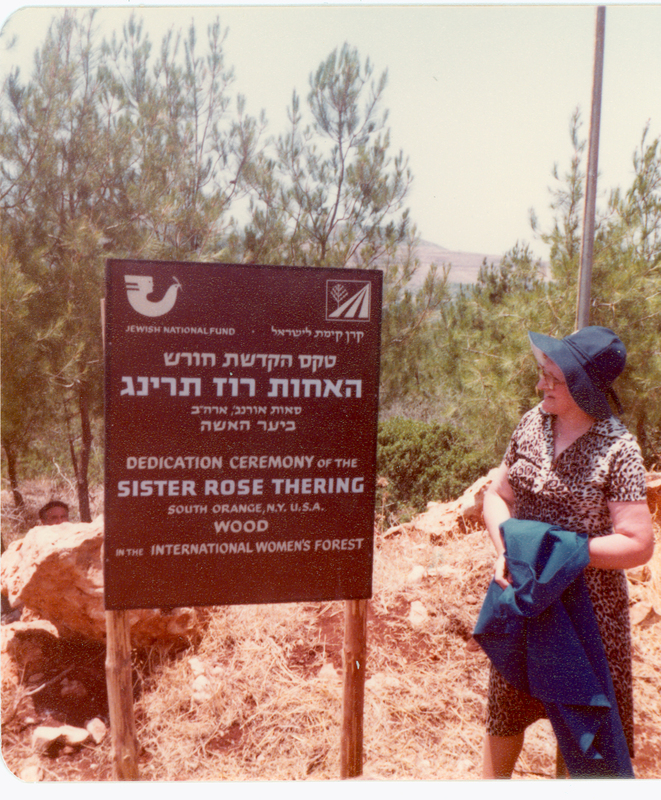 Seton Hall University Israel Study Tour, #55. 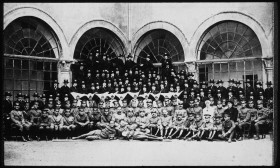 Nurses, Officers & Sisters in Courtyard of Hospital, Vicenza, Italy: Digitization of glass plate negative. 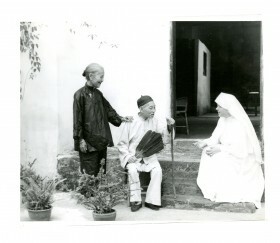 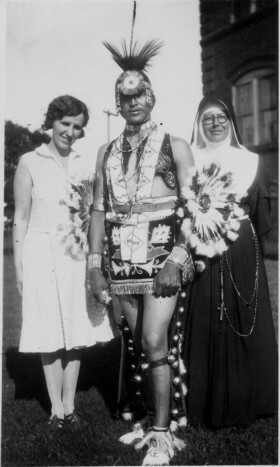 Sister Marla del Ray, Maryknoll Motherhouse: Sister Marla del Ray in conversation with elderly man and woman. 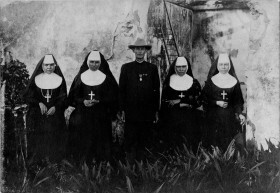 Letter from John F. Kennedy to Sister Madeleva: Letter from U.S. 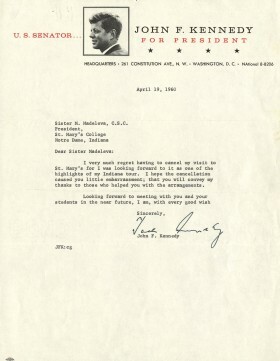 Senator John F. Kennedy to Sister Madeleva apologizing for his cancellation of an April 6, 1960 visit to Saint Mary’s during his run for the Presidency. 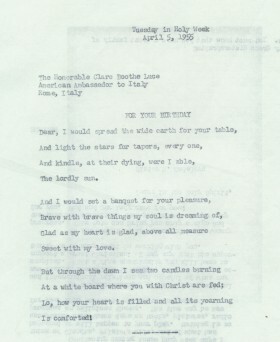 Birthday poem from Sister Madeleva to Clare Booth Luce, American Ambassador to Italy: Birthday poem sent from Sister Madeleva to Clare Booth Luce, the American Ambassador to Italy. 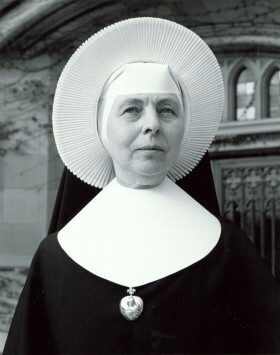 Sister Mary Madeleva: Black and white portrait photograph of Sister Madeleva taken outside of LeMans Hall on the Saint Mary’s College campus. 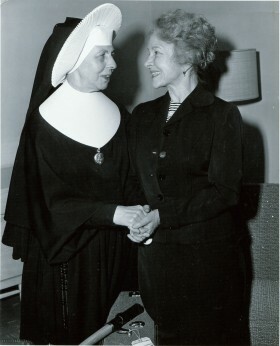 Sister Madeleva and actress Helen Hayes: Black and white photograph of Sister Madeleva and Helen Hayes taken on the Saint Mary’s campus.